Hi! I’m Nettie, a mom just like you. 1 ~ Motherhood is HARD! 2 ~ Motherhood is FULFILLING! Being a mother is definitely the most difficult task I have ever undertaken. But, it’s also the most joyous. Sometimes people assume that because I have a lot of children, I have the perfect parenting formula. But that’s simply not true. In fact, because I have a lot of children I’ve discovered there is NO WAY to be a PERFECT PARENT. But, there are a MILLION WAYS to be a GOOD ONE. Since I know firsthand that motherhood is challenging, I’ve written my ideas and experiences in an effort to help moms like myself. My writing has been published in various local, national and international publications for the past 20 years. 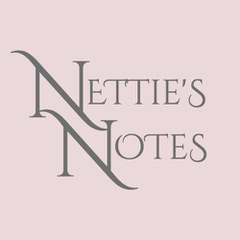 You’ll find most of my article links and motherhood tips here on my website, on my blog, or on my YouTube channel, Nettie’s Notes. Some of my ideas may work for you, while other thoughts may simply give you a jumping off point to create your own motherhood solutions. Either way, we’re helping each other. I hope the ideas we share together will make our motherhood BRIGHTER and SMOOTHER. Latest videos, articles, posts and more! Click here for here for my YouTube videos, or here for my Blog Posts.